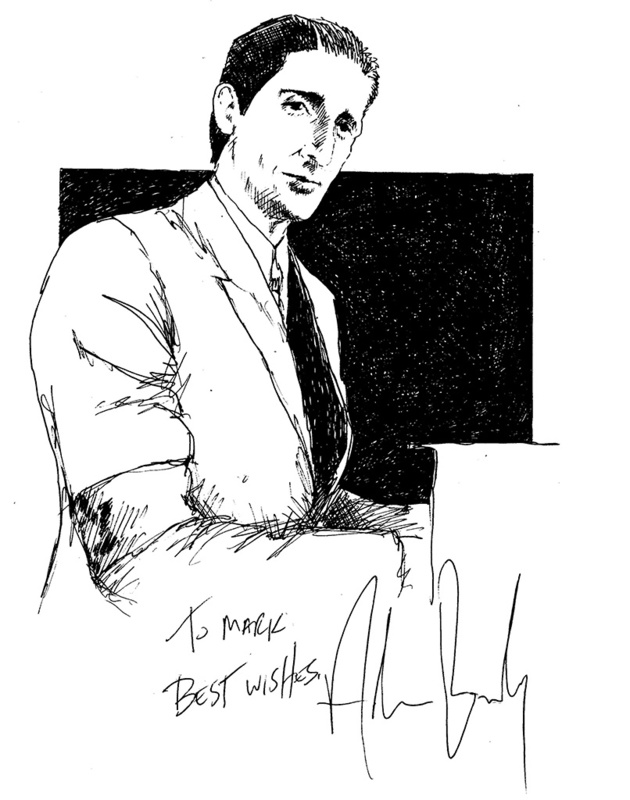 A sketch of Adrien Brody from The Pianist (2002), directed by Roman Polanski, who won the Oscar for Best Director and Adrien became the youngest actor (age 29) to win the Best Actor Academy Award and the only American actor to receive the French César Award. He was filming King Kong at Stone Street Studios in Wellington, New Zealand in late 2009 and was happy to sign my sketch. This entry was posted in Celebrity, Film and Television and tagged Adrien Brody, Autograph, Drawing, King Kong, Roman Polanski, Signature, sketch, The Pianist by Mark Winter / Chicane. Bookmark the permalink.